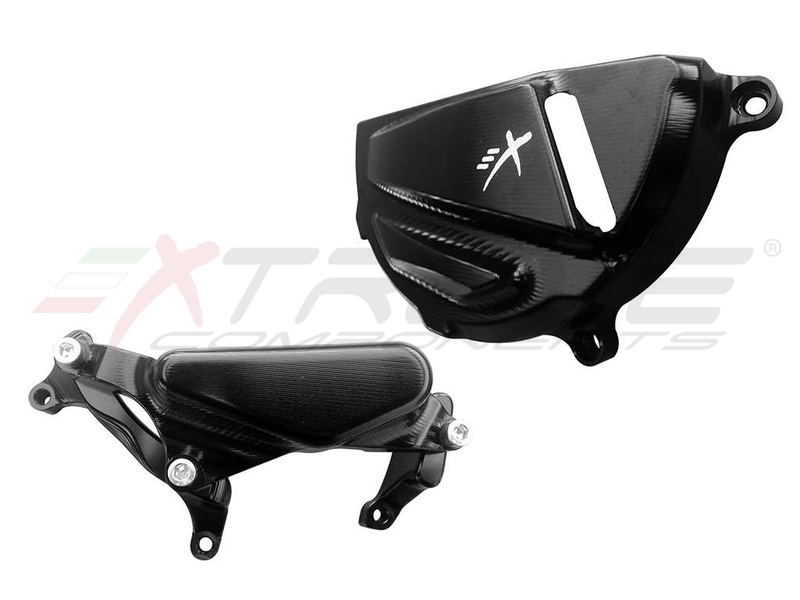 Engine protector in Aluminium 7075 T6 hard oxidized fully whole billet with 3D machining with steel bolts with the seat of the head embedded in the special counterbores. Structurally more resistant than the competitor for the increased thickness at the points of contact with the ground verified after the various crash tests and for the reinforcement slider in the alternator that progressively download the energy's impact, for example with a bead ensuring a perfect protection of the crankcase. Finished with black hard anodized. Available for all bikes of the latest generation.